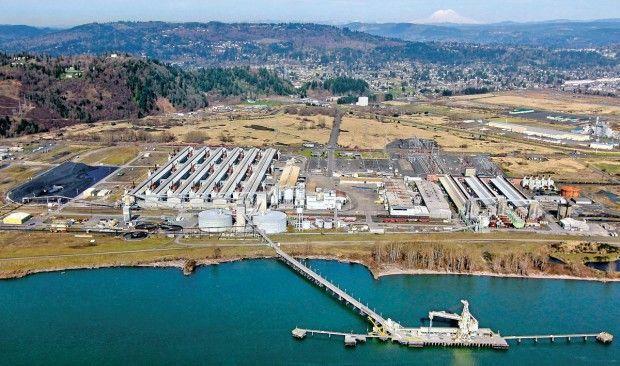 April 3, 2019 - In yet another blow to the proposed Longview coal export terminal, a federal judge Monday ruled that the state of Washington did not violate the foreign affairs doctrine of the U.S. Constitution when it denied Millennium Bulk Terminals a water quality permit. The decision to dismiss BNSF Railway Company's claim further narrowed the scope of the federal lawsuit, leaving only the interstate and foreign components of the commerce clause to be considered. Millennium and its parent company, Lighthouse Resources Inc., are counting on this lawsuit to resurrect the effort to build a $680 million coal export facility at the old Reynolds Metals Co. aluminum smelter in West Longview. If the lawsuit fails, there’s virtually no chance the project will be built. BNSF joined Lighthouse last year in a federal lawsuit against Gov. Jay Inslee and his administration after the project was denied a water quality permit. BNSF argued that by denying the permit the state was imposing an embargo on coal exports from Western states like Wyoming and Montana, thus interfering with the federal government’s ability to regulate foreign affairs. 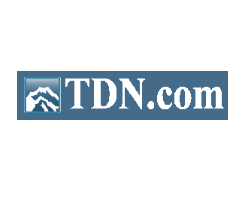 U.S. District Judge Robert Bryan found that BNSF failed to point to a specific policy from President Donald Trump that was in direct conflict with the state’s denial of the permit. The site of the Millennium Bulk Terminals proposed coal export facility. While Trump’s policies encourage both the export of coal and a commitment to environmental protection, the president’s “generalized remarks favoring the development of the coal industry and the export of coal are not in clear conflict with the State’s decision (to deny the permit),” Bryan ruled. He also found that the state’s decision was related to the management of its natural resources, which is a “traditional state responsibility,” and therefore did not intrude on the federal government’s foreign affairs power. Lighthouse and BNSF’s remaining argument is that the water quality permit denial pre-empted the commerce clause by blocking exports from Western states to protect Washington’s interests. “While we would have preferred the Court to decide in favor of BNSF, we remain undeterred. We look forward to presenting our commerce clause case in May,” Lighthouse said in statement. A coalition of environmentalist groups led by Washington Environmental Council joined the state’s defense in the lawsuit. Millennium began the permitting process for the coal terminal in 2012. The state denied its application for a water quality certificate in September 2017, pointing to “significant unavoidable adverse impacts” outlined in the Final Environmental Impact Assessment for the project. The state also said it didn’t have reasonable assurance that the terminal would meet applicable water quality standards. Lighthouse Resources sued Gov. Inslee’s administration over the decision in January 2018. Six coal-producing states — Montana, Wyoming, South Dakota, Utah, Kansas and Nebraska — intervened in the suit on behalf of Lighthouse and the railroad, alleging that Washington was blocking interstate commerce by blocking the project. Six other states — California, Maryland, New Jersey, New York, Massachusetts and Oregon — entered the suit on behalf of the state Department of Ecology, saying the state has a right to regulate its environment. In December, Judge Bryan dismissed claims by Lighthouse Resources and BNSF Railway that the permit denial pre-empted federal laws governing ports and railroads. He found the companies failed to prove that the federal acts should have barred Ecology from denying the water permit. Lighthouse is still awaiting the outcome of an appeal to the state’s Pollution Control Hearings Board regarding denial of the water quality permit.